WARSAW — A Warsaw man is facing charges after crashing a vehicle while intoxicated with a two-year-old passenger. 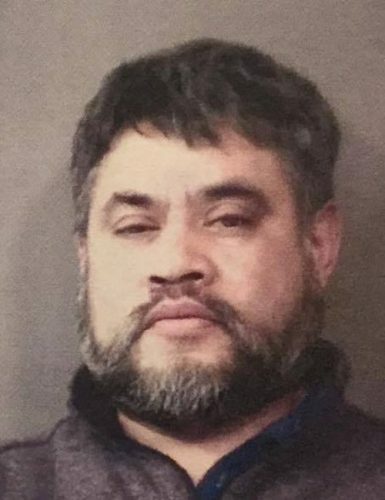 Jose Ramos, 2441 West CR 250S, Warsaw, is being charged with neglect of a dependent, a level 6 felony; operating while intoxicated with a minor passenger in the vehicle, a level 6 felony; operating while intoxicated, a class A misdemeanor; operating for intoxicated, a class C misdemeanor; and operating a motor vehicle having never received a license, a class C misdemeanor. According to the affidavit of probable cause, on March 5, an officer responded to an accident on CR 150W. The officer saw a white minivan off the roadway. It appeared the vehicle had struck a couple of trees, which caused damage to the vehicle. A male subject was sitting in the vehicle holding a young child who he was trying to keep calm. The two-year-old had minor injuries to his face. The minor was taken to the hospital for treatment for abrasions on his face. An officer spoke with the driver of the car, Ramos. While the officer was speaking with Ramos, the officer detected a very strong odor of alcohol. Ramos admitted he had been drinking beer. Officers found that he had never obtained a driver’s license. The officer conducted several field sobriety tests and Ramos failed those tests. Ross had a breath alcohol content of .14. An officer met with the minor’s mother, who advised she had been at the casino the night before with Ramos. She stated Ramos had been drinking the night before and had been drinking all day that day. On the way home from the casino, they had stopped at a residence. Ramos told her he was going to move the vehicle to the other side of the residence. He ended up leaving the residence. When he left, the two-year-old had been standing up on the front seat of the vehicle. Ramos was arrested on March 5 with a $5,250 surety and cash bond.